Yasuhiro Taguchi, best known as TAG, joined KONAMI in 2006, writing stepcharts for DanceDanceRevolution SuperNOVA. Later that year, he composed his first BEMANI song, El Dorado, in GuitarFreaks V3 & DrumMania V3, and remained a regular in GuitarFreaks & DrumMania for several years. He then later branched out into most other BEMANI series by the end of the decade, most notably beatmania IIDX and DanceDanceRevolution. In the latter series, he served as the sound director of DanceDanceRevolution X2 through DanceDanceRevolution (2014), after previously serving as the sound director of the PlayStation 2 home ports of SuperNOVA2 and of X. He was also the sound director of DanceEvolution ARCADE. Yasuhiro's music tends to focus on rave and trance, though he has also composed progressive rock and fusion for GuitarFreaks & DrumMania. 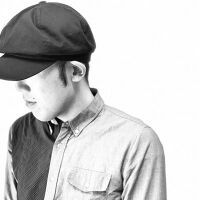 He's also composed techno and trance songs under his SUPER STAR 満-MITSURU- alias, though lately he has been composing dubstep as well. Yasuhiro joined the staff of SOUND VOLTEX sometime during the development of SOUND VOLTEX III GRAVITY WARS. He is currently one of the sound directors of the SOUND VOLTEX series as of SOUND VOLTEX IV HEAVENLY HAVEN. Yasuhiro was featured in a choreography tutorial video for She is my wife released through KONAMI MUSIC FULL. Yasuhiro was the sound producer of pop'n music ラピストリア, his first staff position in the pop'n music series.